The Department of Justice issued an advisory opinion confirming the legality of Matthew Whitaker’s appointment as acting attorney general Wednesday, as legal authorities across the ideological spectrum suggested the move violated a federal statute and the Constitution. The memo, prepared by the Office of Legal Counsel (OLC), reveals that the Justice Department previously counseled President Donald Trump on the matter and defends the president’s right to designate temporary office holders under the 1998 Vacancies Reform Act (VRA) and as a matter of history. OLC advises the AG and the president on a wide range of legal issues. Its conclusions are considered binding within the executive branch. “This office has previously advised that the president could designate a senior Department of Justice official, such as Mr. Whitaker, as acting Attorney General, and this memorandum explains the basis for that conclusion,” the opinion reads. Though the Constitution requires the Senate to confirm all “principal officers,” the Justice Department contends that Congress has always understood the appointments clause does not reach individuals temporarily filling principal offices. In addition to explaining presidential prerogative to fill vacancies under the VRA, OLC conducted a survey of historic appointments practice and identified some 160 occasions between 1809 and 1860 in which non-Senate confirmed officials filled high offices on a temporary basis, including one instance in 1866 in which a senior DOJ official briefly served as acting attorney general, and other instances from the 19th century in which assistant attorneys general not confirmed by the Senate authorized Justice Department action as acting AGs. The U.S. Supreme Court’s 1898 Eaton decision also confirms Trump’s authority to install Whitaker, the opinion argues. The case arose when U.S. consul-general to Siam Sempronius Boyd appointed Lewis Eaton as a vice consul, with instructions to become acting consul on his departure. Eaton would serve as acting consul-general for 10 months when Boyd returned to the U.S. in July 1892. Though consuls-general and their deputies were subject to Senate confirmation, the president had authorized the chief diplomatic representative in overseas consulates to appoint deputies when vacancies arose. In a subsequent dispute between the Boyds and the Eatons over compensation, the justices sanctioned Eaton’s appointment, finding an acting official does not count as a principal officer subject to Senate confirmation. That decision remain controlling, OLC says. The Whitaker appointment has already drawn legal challenges. Maryland Attorney General Brian Frosh asked a federal court in Baltimore to declare Whitaker’s installation unlawful Tuesday, arguing that the Attorney General Succession Act provides for Deputy Attorney General Rod Rosenstein to lead the Justice Department. 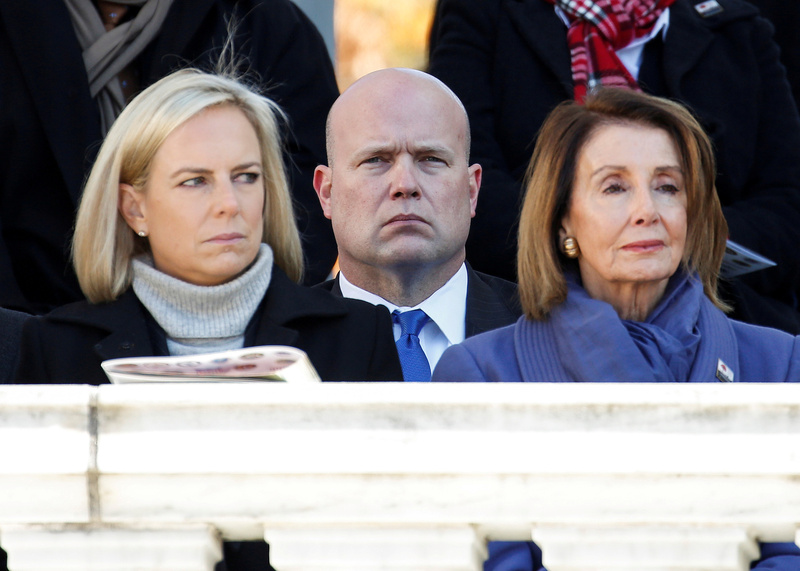 Whitaker became the acting attorney general when President Trump dismissed former Attorney General Jeff Sessions on Nov. 7. Assistant Attorney General Steven Engel, who leads the OLC, is the signatory on Wednesday’s memo.